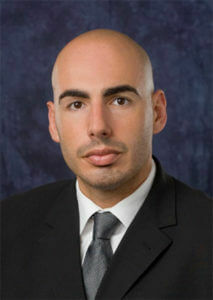 David Almeida, MD is a vitreoretinal surgeon in St. Paul Minnesota. David also holds a Ph.D. in Pharmacology, and MBA is an author and consults with industry. Plus, he’s an avid Squash player, too! Until Recently, the worlds of surgery and business were considered completely unrelated. With knowledge of both, one is armed with the ability to make corporate and personal decisions with the surgical precision of a surgeon’s blade. In today’s fast paced business world, this offers an unparalleled edge for managerial, entrepreneurial and leadership skills. How does a surgeon decide? What processes go through a doctor’s mind when making a call? When the outcomes are often life and death; vision or blindness; tears of joy or loss; a medical professional’s thought processes are often quick, sharp and without second guessing. Now you may apply this to your life with David’s book! You may learn more about David Almeida by going to his website: Davidalmeidamd.com. On our episode today of the Cognified Marketing and Selling Podcast, David talks about his new book called, Decision Diagnosis – Seven Antidotes to Decision Procrastination.” This is an excellent book that is easy to read and offers great tips for both physicians and business types. Get Decision Diagnosis – Seven Antidotes to Decision Procrastination on Amazon. My favorite topic David addresses in his book and talks about on the show is the strategy of decision making. He talks about three distinct aspects of strategy – satisfaction, opportunity lost and identity – and how they relate to decision making for him. I hope you enjoy listening to this episode of the Cognified Marketing and Selling as much as I did recording it. David is an engaging, thoughtful and bright person to interview. Decision Diagnosis – Seven Antidotes to Decision Procrastination. Joel Gaslin: Welcome to the Cognified Marketing and Selling Podcast. I’m your host, Joel Gaslin, and my guest today is Dr. David Almeida. David is a practicing vitreoretinal surgeon in St. Paul, Minnesota. He completed an honors bachelor of science, a doctor of medicine, a residency in ophthalmology, a doctor of philosophy, which is a PhD, in pharmacy and pharmaceutical sciences, a master of business administration. If that’s not enough, a vitreoretinal fellowship as well. During this time, he not only honed his medical skills, but also developed a passion for innovative approaches to decision-making and leadership. In his first book, Dr. Almeida describes his unique medical, scientific, surgical and business perspectives on decision-making and offers readers an exciting new approach to personal and professional conflicts and choices. David’s book is called “Decision Diagnosis — Seven Antidotes to Decision Procrastination.” David, thanks a lot for being on the show today. I’d be grateful if you would tell us about how you came to be where you are today. David Almeida: Hey thanks very much Joel. A real pleasure to be on the podcast. I’m a fan and enjoy listening to the podcast episodes. It’s a circuitous path over the years. Essentially, I started out with a PhD in drug and pharmaceutical design. I was really interested in that. It became apparent to me that, to be a good designer of therapeutics & medical drugs, you had to start understanding the medical side of it. That’s what brought me to medical school. Once there, things changed a little bit. Then I got interested in the world of ophthalmology. The surgeries were interesting. The patients were a rewarding group to work with. There was lots of potential for therapeutic design in pharmaceuticals for the future in vitreoretinal surgery. That’s the part that runs through both. I love the surgeries. There seemed to be so many drug targets that were emerging. That landscape was changing at a breakneck speed. That’s what brought me in that direction. I got an MBA along the way. I was always interested in management and trying to get the best performance from myself and coworkers from leadership teams. I always wanted to be well versed in that skill set. That was what brought me to that aspect. Joel: That’s great. How much of your business do you find yourself using in running a practice? David: It’s interesting. I find I don’t use it all that much in one sense, because my priority is taking care of patients and seeing patients in the clinic and the operating room every day. I find that, whether through my writing or interacting on different ventures, it becomes very useful. At least you have a common ground that you can join in on certain discussions. Joel: What do you like to do when you’re not working, David? David: I love spending time with my family. I got three wonderful kids and a beautiful wife, Jasmine. I’m also a competitive squash player. Joel: Competitive squash? Cool, that sounds like fun. Keeps you in shape and gets all your frustrations out. David: There’s a great community here in St. Paul, Minneapolis in the Twin Cities, lucky to be here. Joel: I’ve played a lot of racquetball but haven’t played any squash. Maybe I’ll have to give that a whirl some time. David: We got to get you out on the court. Joel: It’ll be fun. You recently, as I mentioned, authored and published a book called Decision Diagnosis — Seven Antidotes to Decision Procrastination. I’ll have a link to that in the show notes so people can go onto Amazon and get that. How in the world do you have time to do this when you’re an ophthalmologist, a dad, a squash player and all that? What made you write a book? David: I guess it maybe was a bucket list item. I had been working on [inaudible 4:11] for a really long time. The idea was that, what if you took the approach that physicians used to…Let’s say complex diagnoses or medical patients but then [inaudible 4:24] hybrid or bridged it with some management theories that are really prevalent in the MBA or business schools. That’s where [inaudible 4:32] applied to the idea of making more effective decisions and really trying to get to the root of what decisions are [inaudible 4:40] procrastination, which I feel is a real issue in modern analysis and strategy. Joel: It’s funny. In my experience, too, and I think I’m a little older than you, but the rock band Rush had a song, and in it, they said that if you choose not to decide, you still have made a choice. I think sometimes when people procrastinate on decisions and things, you’re ultimately making a choice one way or another, so I like your framework. David: I’m a Rush fan and I’m a huge fan of that [inaudible 5:13] I like that lyric because philosophically, it’s a lot of introspection. It really is very aligned with [inaudible 5:18] choose not to do anything or not to react, but you still have to make that choice and you can’t pass it on, so I really like that one. Joel: How do you identify, David, the character of a conflict or question before you may make a decision? David: These are good questions to get into. In the book, I go into them with a framework that you can use to think. There is a couple of techniques that you can use, though. I’ve tried to summarize the book through this idea of a PACT model, P-A-C-T. Practice, assessment, collect, and timing. The idea of assessment is using open [inaudible 5:51] . Very commonly, we try to use very closed [inaudible 5:56] and these are not very useful at all when you’re trying to uncover the character of a decision. Things like who, what, when, where and why allow you to ask much bigger questions to truly uncover more of whether it be a conflict, a decision, or some strategy you’re trying to develop. That’s really important. The C of PACT is collect as well as [inaudible 6:19] identify the questions, you now need to collect information on those questions. I keep it really broad, people, places and things relevant to your decision. If you have a decision that you’re thinking about or you’re procrastinating on or just contemplating, what are the people, places and things relevant to it? Start uncovering that. All of a sudden, the different layers or at least the arcs relevant to your decision start becoming apparent. Joel: The second plank of your decision-making framework is setting. How do you think about visualization and review of systems as you make decisions? David: This is an interesting point. Two decisions, or let’s say the same decision can have two different answers in two different contexts. That’s not to say that everything’s gray or that you can flip back and forth. Seeing a setting of a decision within a context is really important. An example I can think of off the top of my head is, let’s say, saving for retirement. That’s a decision or a problem that you have. You can see that the [inaudible 7:24] context is going to be different where you are in your life. Are you just starting [inaudible 7:29] decades away? Are you mid-career? Did you just change careers? Are you towards the end? You can see that it’s very much the same question but the setting [inaudible 7:39] very different outcomes and very different approaches to solving that. Joel: You also discuss timing. How do you know how much time you need to make a good decision? David: Timing is probably my favorite one that I try to [inaudible 8:00] time management, timing, because it seems [inaudible 8:03] idea of inbox [inaudible 8:07] solved right now [inaudible 8:10] ludicrous, because [inaudible 8:14] going to kill them right now or not? You can see certain decisions don’t need your attention right now. Some of them actually don’t ever need your attention. Joel: Your time periods, you talk about them as being defined, undefined and asymmetric. Is that part of your timing triage? How do you think about that? David: It is. I find that it becomes very useful in management scenarios, in more of a corporate or business scenarios, where if you’re trying to accomplish some goal or trying to solve some problem, you can look at to see if you have if you have [inaudible 9:10] becomes relatively straightforward to work with. You have something due on Friday, or next week, or in a quarter, you can a lot some time for your resources to be used in an efficient way to deliver that end product, or whatever it is. However, it’s these undefined or asymmetric where you have unknown variables, and things like first and second movers become apparent in these windows to try to maximize what you have versus what you need in your team to deliver whatever, whether it be a product or a service, in a timely fashion. This becomes important because if you have a defined time period and you have time on your side, you don’t necessarily have to deal with that problem right now, whereas [inaudible 9:53] benefits you to move quickly, so to figure these out would be of crucial importance. Joel: Tell us, David, about some of the consulting work you’ve done in your career. How do you like doing that? Is it in industry? Is it pure research medicine? What interests you most? David: I love working with different individuals, approaching different problems, and brainstorming different ways to solve different problems. I always find that if I approach it as a side hobby or something that I [inaudible 10:29] because it’s usually really fun. Most of it I do with pharma, whether it be in therapeutics design or research and marketing. That’s probably the biggest component of it. Over time, since the book, I’ve done a little bit more with corporate clients in trying to use some of these techniques to improve management and human resource relations. Joel: I’ve noticed since I came across your site and opted into your list, you do a nice job with a regular cadence of communication with people on your list. Since I’m on your list, I’m assuming that’s how you’re doing it. In our company, we have an agency within our company, and so we advise especially refractive clients on marketing and that sort of thing. I’m always surprised at how few ophthalmologists will collect an email list and work an email list because they feel that that just isn’t the way that they want to run their business. Yet, I look at that as a patient and say, it wouldn’t bother me if an ophthalmologist or a physician were communicating with me and regularly keeping me apprised of what was going on in their industry and their practice. How do you think about that? How would you advise other ophthalmologists in that vein of their work? David: It’s a really interesting point you bring up, Joel. The email list can serve such wonders for you because in essence it’s a conduit for communication, which is always going to be a benefit to you. I agree with you. An email list can be something really powerful, and it can be really beneficial to allow you to achieve better communication with your patients, with the vendors you work with, whatever it may be. I understand what you’re saying, I think most of medicine still prefers not to communicate that way, but it’s a really effective way to get information across. There’s a lot of people who actually want it that way, who prefer to receive it that way. You’re denying them a benefit that you could provide. David: You can still work out some of those kinks and use that effectively to help your patients and your practice. Joel: On page 24 of your book, you talk about your three distinct aspects of the quality of strategy, which I love, talking about strategy and thinking about strategy. You say satisfaction, opportunity lost, and identity are your three qualities. Talk about strategy as it relates to decision-making for you, please. David: Those are some of the points that I home in on. First, the idea of satisfaction of strategy, I use it in a liberal term in the sense that your strategy has to satisfy some goal. It can’t be perfect in a vacuum, it has to be aligned with some sort of outcome that you need to, so it has to satisfy that outcome to be successful. That’s important because, and I’m sure you know the same, a lot of people employ certain strategies for issues that they have, whether it be with products or marketing, and it’s a great strategy, but it’s totally devoid of any alignment with whatever product or service they’re actually trying to do. It makes sense in a vacuum, and so they go, “Oh, this is very logical,” but then when you actually put it into the context, it doesn’t really work, or it fails miserably. This is an important one. The opportunity lost, we all know opportunity costs from the first-year economics course we took in college, and that’s strictly a balanced equation of what you could have done with that money, but I like the idea of opportunity lost is that…Try to go beyond sometimes just metrics, whether it be profit, loss or investment. Look at time, energy, which I think are such important neglected aspects that we don’t look into all that much. It’s more than just where you could have invested that money that you put into capital expenditures rather than [inaudible 15:07] , it’s more than that. There’s time and energy components that we grossly under-weigh in the metrics when we’re trying to [inaudible 15:16]. Joel: That’s a really great point. That’s interesting. A lot of people, at least in my experience, will talk about time as an asset, yet very few talk about energy. That’s a very insightful distinction that you just made. I like that. Thanks for pointing that out. David: It’s a really good point, Joel, and I totally agree with you. Even this idea in some of the management literature of activation energy. To make a decision or to carry out a strategy, every different one has some sort of activation energy barrier [inaudible 15:53] if you have a really high activation energy barrier then you can have the best strategy, you can have the best people, but if you can’t overcome that, it won’t work. [inaudible 16:04] . Joel: That’s great. In your decision-making and strategy construct, how do goals fit in for you, David? David: Goals are important because goals are like objectives. [inaudible 16:19] goal or objective it’s hard to have a successful strategy. There’s not anything you can measure it against. It becomes a bit wishy-washy. You need a goal, you need objectives. They’re going to measure your ability to reach them. They’re really important, otherwise you can get lost in the idea of busywork. You can spend all day writing a bunch of memos, sending a bunch of emails, and responding to a bunch of queries, and you’re really busy all day, but you’ve done nothing. I’ve had days like that. I’m sure you’ve had days like that, too. If it’s not properly tied to, what was the point of the [inaudible 17:01] you can get into a lot of trouble. That’s why I like this idea of triage. Triage those things you’re doing. Do you really need to do them? Are those things really important? Chances are, they’re taking you away from core objectives or core goals that are important for your own passion, for being rewarded for your work or to achieve the ends that you’re trying to achieve. Joel: That one lows into the next one of, how do you use metrics, or what metrics do you specifically use to get yourself on the right path when you’re either making a decision, working, or just some part of your life? David: I try to tie metrics whenever I can, whether it be if you’re talking about completion, simple things like time to ideas of profit, gains or investment, those are easy ones to make. I also think about the metrics like value, which are a little bit harder to…whatever you’re doing, creating some sort of value. You should be creating some [inaudible 18:00] for your customers [inaudible 18:02] you should be providing value for them. You should figure out what that value is, because that’s a worthwhile objective that’s a worthwhile goal to keep you improving. If you’re not delivering value to the people you work with or work for, that jeopardizes your relationship a little bit. Joel: In your book, I love your gym analogy, G-Y-M, because frankly, I use that a lot in business, too. I use it with our marketing team all the time, and I use it with folks who will listen. A gym membership is really what we sell in our business. We can give you the greatest tools in the world, but like a gym, unless you go and do the work and watch what you put in your mouth, you really won’t have much effect. I’m wondering, what steps do you use to offset high activation energy and low motivation obstacles? David: Yeah, that’s a really good point. I like low-hanging fruit, or I like paths of least resistance. The really tough problems [inaudible 19:04] so if I can find areas where I can decrease that activation energy, I think you used it in the book there. What I do, I usually try to train in the morning before I go to work. What I do is I put my work clothes in my car. Everything’s in my car, and then my training stuff’s next to my bed. To not go to the gym, I would have to go down, the dogs would wake up, I’d have to come back up, there’s usually no way. I’ve set up my activation energy so low to just go work out, it works in my favor. Making decisions, that’s easy to overcome, or at least starting is really important. Joel: It’s funny, I do the same thing. I set all my workout stuff. I do the same, I work out every morning, just like you, and I set it out the night before and it’s all right there. I have to really work to actually not do it, so that’s interesting. David: I love it, and it works, right? Joel: [laughs] Right, yeah. We all know how it is here in Minnesota. Maybe only in Canada is it colder and darker in January than it is around here. Tell us about your three Bs, bank, bread and brawn. I love that one. David: I try to always simplify, and not to trivialize or make too rudimentary, but as in approaches that you can quickly break down. The idea of [inaudible 20:38] resources to bread, bank and brawn. Bread is simply how much money, funds or investment potential you have [inaudible 20:46] investors or [inaudible 20:47] . Your bread is going to be your resources. What kind of resources do you have available to you? Especially early startups, companies with new products getting going, you’re usually multiplying, you have something really good, that’s really good intellectual property, or maybe you have really good logistics, but you’re missing out on other significant things. Figuring out what you’re missing really helps. Brawn, it’s kind of a funny thing, but now we’ve touched on it three times, but this idea of energy. Where’s your energy best allocated towards so that you achieve a successful outcome? Whether it’s find ways to increase that activation energy that we’ve discussed, or some other aspect to see where your energy is. As we were mentioning before, you can have the best laid plan and the best curated strategy, but if the energy levels figured haven’t been properly optimized then it’s not going to work. Joel: Your next two steps, David, in your framework, are alleviating factors and aggravating factors. What are these? David: This is the idea here, when a patient comes in, sometimes they’ll come in with some ailments or they’ll have some findings, and it’s not clear. It’s nebulous when it started. The findings are very nonspecific, but they’re not really leading down a specific road. You can then use things like alleviating factors, things that make it better, or aggravating factors, things that make it worse, to try to guide you in the right way. The idea here is to try to pick apart components to your decision-making skills that can improve or hinder your ability to make really successful decisions. I always think of an aggravating factor as something like burnout, just to continue with this idea of energy. If you keep working and working but your motivation starts dipping over what’s needed to overcome certain tasks, this is going to hurt you a lot. Things like how you define success, how you look to approach tasks and how you time goals and objectives like we talked about, those things are really important to alleviate or make better your likelihood to be successful. Joel: That’s wonderful. What are your beliefs? How do you think about practice? How do you practice with purpose in your endeavors? David: In terms of practice, I’d go back to one of your earlier questions, Joel, the idea of a goal or an objective. Practice to try to achieve some definable or at least near-definable metric to show that you’re improving. This idea of practice makes perfect, it’s a bit foolish in the sense that practice only makes permanent. You do something over and over, you’re more likely that you’re going to do it like that, but that might not be the right way. It gets very exhausting, too. It’s like, I got to do another skill, or I got to shoot another 100 free throws. If you can blend that with some innate or at least desire or passion, that’s when the transformation can occur. You then start seeing that task change. It becomes a spectrum of what you’re trying to achieve. Then you can really modulate how you practice the different objectives you’re trying to achieve. That’s how I like to try to make that extra jump in. Joel: He had to work all summer to get that squared away. I love that you quote Mark Twain in your book. How did you find your passion, and how do you keep it stoked? David: I love new problems, new challenges. I don’t know if it’s good I get bored easily, or I don’t do well with boredom. I like to keep tackling new issues, new problems. I really like to work, not in the negative sense, just because it’s fun to try to once again uncover something that’s challenging or difficult. I think it’s fun like that. It links up with my personality well. I can tap into that idea of passion and energy, and so it keeps me motivated and my enthusiasm level high. It’s linking these up that sometimes are disparate variables together. It would be unfortunate to spend your days working on something and it’s devoid of passion or energy and enthusiasm. That makes for hard days, right? If you can link those up with your desires and your passions, then all of a sudden it becomes a very thrilling ride. You start to learn a lot from others and from your colleagues. I learn from my patients, from my co-workers all the time. I feel like I’m at least dialed in in an enthusiastic way. Joel: From the little bit I know of you now, it’s evident in how you talk about things, so that’s great. What’s your definition, David, of success, and how do you achieve it? David: I only accept two definitions of success. Either you’re doing what you love, or you somehow subsidize time to do what you love. For the former, it’s very rare, and that’s the truth, that we can spend time doing entirely what we love. There’s going to be days that are filled with pain and frustration. That’s OK. I find that I’m really privileged and lucky. Taking care of [inaudible 26:34] locations is wonderful, I use [inaudible 26:37] every day, but some things are difficult. If you can’t achieve part one, then part two is adding your constructs, whether they be hobbies, family, pastimes, sports, hiking, whatever it is that you like, you have to integrate those things into your everyday life. You have to make time for them. When I say subsidize, it doesn’t have to be the idea of, “I work for X dollars and I can use X dollars for this,” no, no. Subsidize your time and energy into those things too, because without them, I have a hard time believing that you can be successful if you’re not doing stuff you love, spending time with the people you love and actually working towards things you care about. Joel: That’s wonderful. What the two main strategies that you use to gain clarity and minimize cognitive burden? David: That’s tough. You see so many studies and the rates are alarming, burnout rates or worker rates and dissatisfaction rates, whether it be across any discipline you look at. Going back to this idea of passion, linking part of it with your identity, of things that are important to you, and really integrating. The blog that I released yesterday, it was called, “Work is Worship.” The idea is that you work so many hours of your life, make work about you. Learn about yourself and the challenges you face, learn to develop yourself in the successes or failures you cross, learn not to integrate into that part of you. All of a sudden, it becomes very much a journey that you can remain engaged in. I don’t know what you think, Joel, but as soon as I’m not engaged in something, as soon as I start tuning out of something, it’s really hard to go back. I know that my performance drops significantly. The task or the duty then becomes to stay focused, stay engaged. Joel: If I may be commercial here for just a little bit, because I know a lot of the folks who listen to the show are ophthalmology sales and marketing folks, what advice do you have for sales representatives who call an ophthalmologist, and marketers in ophthalmology trying to get doctors interested in their products and service? How do you think they should be doing their jobs better? David: This is a really neat question. The relationship between doctors in general, and let’s say pharma or representatives of companies, that relationship’s a really important one. Proper communication across there develops new treatments, new [inaudible 29:16] for our patients, and really achieves the goals that we want, which is to deliver better care. It’s really a rare instance where you can have win-win. Communication is key. You have to have good, open communication. For reps and for people who call on ophthalmologists or doctors, it’s worthwhile to build trust, that’s key because communication grounded on trust, you’re going to listen to it. Otherwise, just communicating or just transmitting data without much trust there, you risk people not really listening to you. Going back to what we said there, provide value. I work with some wonderful people that help our practice and our patients, and if you provide value to the people you work with, going back to that, you become part of the team. Then your value goes up immensely. Joel: That’s terrific. I’m grateful for your insight there. I think folks listening will find that helpful. I know I did. David, your book was an excellent read. I congratulate you on writing it, and also as being named as one of the 100 young leaders in ophthalmology. What haven’t I asked you about that you were hoping to discuss during our interview? David: No. I’ve had a great time Joel, discussing all these aspects. I really enjoyed it. I think we touched upon so many. It’s interesting, because so many things come ad lib. But I think we’ve touched on so many aspects that it crosses over really nicely between let’s say the business world and the personal world. With my blog, that’s why I find the intersection really interesting. Once again, anyone can just go to work. You do your work person. You go home and you’re your home. No, you’re the same person. You just can’t turn it off. I like that intersection very much. I find it interesting. I think it unlocks a lot of human performance. I’m glad the way our discussion has really bounced from both those realms. Joel: Yeah. Great. I saw something come across my desk the other day. We’re going to be at the University of Minnesota meeting. Are you one of the folks chairing that meeting? Did I get that right? David: The one in September? David: Yeah. Yeah, that’s right. I’m a co-chair with Dr. Amy Maltry. Yeah, that’s wonderful. We’re looking forward to it. We’ve got some great speakers and some absolutely fascinating topics that I think are going to be exciting for sub-specialists and comprehensive ophthalmologists alike. That’s going to be an exciting meeting. Joel: Great. We’re looking forward to it. Joel: Thanks for your time. If I may do anything for you, let me know. You know how to get hold of me. Let’s keep in touch. If not, I’ll see you in a few weeks at your meeting. David: Thanks so much Joel. Thanks again for having me on. I really enjoyed our time. Joel: OK. Thanks a lot David. Have a good night. Joel: All right. That’s a wrap for episode number five of the Cognitive Marketing and Selling Podcast. My guest today was Dr. David Almeida. I thank David for his time. I’m grateful for his sharing of ideas, talking about his book. Lots of good things to share with the listeners. I hope that you learned as much as I did through talking with David. As always, I’m grateful if you’ll take a moment to go to iTunes and give the Cognitive Marketing and Selling Podcast a five-star rating and even take a moment to write a review. If you’d like to learn more about me personally, JoelGaslin.com. That’s J-O-E-L-G-A-S-L-I-N.com. You can find stories and blog posts and links that I do on that blog. Also, this podcast is hosted at CognifiedMarketing.com. C-O-G-N-I-F-I-E-D-marketing.com. Thanks, and I look forward to having you for our next episode.